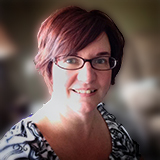 Posted in 52 Ancestors Challenge on June 18, 2014 by Amy Johnson Crow. 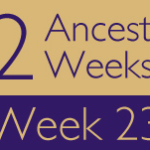 Due to an extensive travel schedule this week, I will not be compiling this week’s 52 Ancestors recap. Please leave a link to your post from the week of June 11-17 in the comments below. I will be back next week with the Week 25 recap, covering June 18-24. See you then! First prompted by the discovery of multiple online trees with faulty information. Absalom Jackson who died in 1838 in Chambers County, AL. I’m posting my June 17 52 Ancestors Challenge — Wilhelm (William) F. Marsischky – Where Did He End Up? 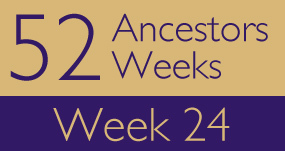 #24 week, which I was late posting due to “technical” problems pertains to John Vanderpool called Disappearing Act. My Week 24, a bit late… Week 25 also coming today! More of an memory blog than a genealogical one–dedicated to so many of my young cousins who never knew what made Grandpa Higgins special. I have done three weeks in a row featuring a family. First, the father who was awarded the Distinguished Conduct Medal and the Military Medal (W22). Last week it was his flying ace son (W23) and this week is about young Bobby who was trying to emulate his brother (W24). All three died serving their country during WW2. Follow links if you want to read all three. I am so busy, I totally missed this self post, sighhh. Busy is better than bored I always say!